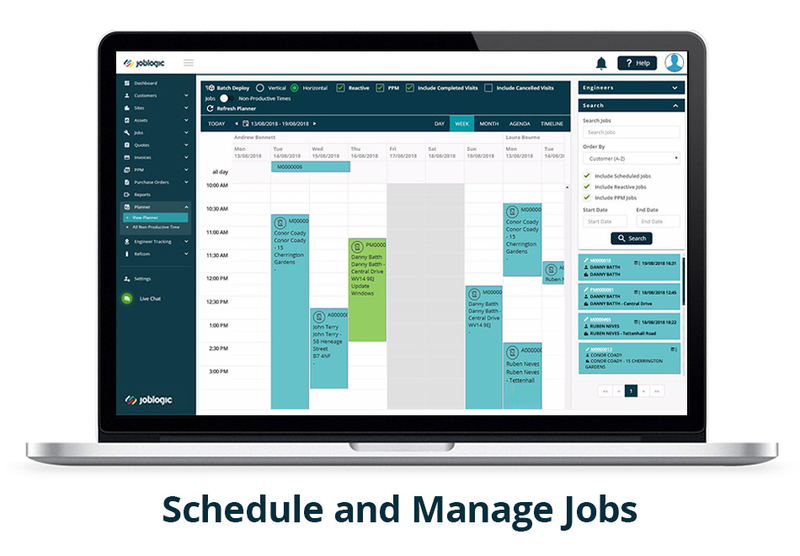 Joblogic Service Management Software enables your business to take the next step towards better efficiency, productivity and profitability. 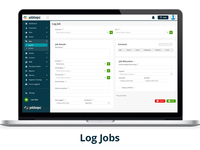 From logging quotes to accepting payments, scheduling jobs to managing assets, Joblogic connects your workforce and customers together. 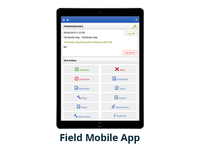 Our easy-to-use Mobile App allows your field workers to record job information, fill out compliance sheets, accept jobs and more. Try out Joblogic today with a 30-day Free Trial. Pros: The software is easy to use, and the interface uses plain English text. The menu structure is excellent and intuitive. The manuals get you off the ground quickly by focusing on the most used elements, and are backed up by great videos and an extremely helpful, proactive and supportive 'on-boarding' team that are available through the live Chat service, by phone or email. Cons: The software and therefore our data is web-based. It's a risk for us to put all our work, notes, client files and potentially years of data somewhere other than on our offices. In an ideal world we'd have the software installed locally on our computers and our data files local too. Having said this, I raised my concerns with Joblogic and they told me how to export our data, which at a push could then be re-imported into another software developer's package if the worst happened with Joblogic. Overall: We have been operating for 50 years, and all our systems and records have until very recently been paper-based. This has created various bottlenecks that have been damaging in terms of efficiency and responsiveness to customer requirements. I have embarked upon a root and branch upgrade of our business processes, hardware, software, training and recruitment and part of this has been sourcing a CRM/Job Management System that will allow us to refine our processes across all our activities and improve efficiency. 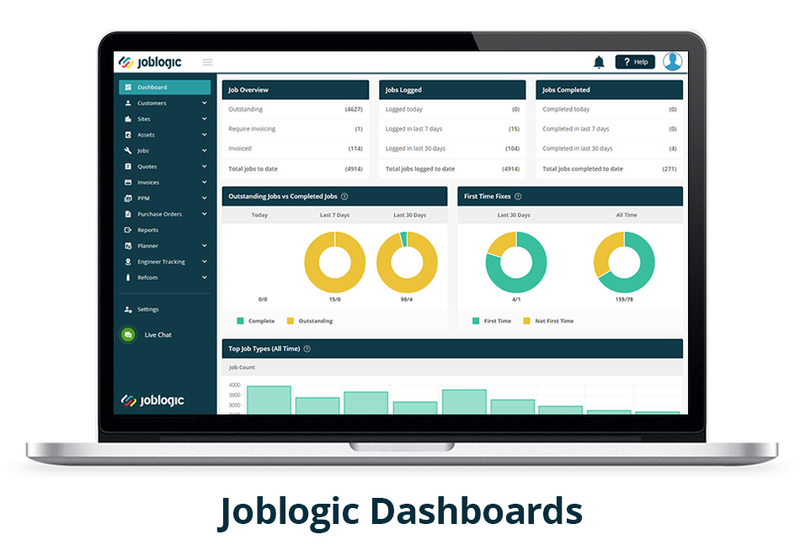 We've started using Joblogic only recently but have rolled it out across the company already because the staff and management have picked it up so quickly. We have already noted significant improvements in our responsiveness to customers. All our office staff now have instant information to hand, instant updates from field engineers and can provide answers immediately over the phone despite not even necessarily having known a job was being undertaken. We aim to use Joblogic to the full, from creating quotes to purchase orders, to completing jobs and linking all the end result into our accounts software. Myles, thank you so much for taking the time to review Joblogic. It's great to hear that your implementation has been a success. We're pleased that you've enjoyed working with our on-boarding team too. We do pride ourselves on having quality software but even more so on our customer service, so it's nice to know that you've had a good experience. Thanks again for choosing Joblogic. Cons: Can be restrictive if suggestions for improvement are not taken on board by all customers. Because we have bespoke the product in the past, it is then difficult to upgrade easily to take into account the changes we have made. Thanks for you review of our software. Its good to hear how easy and flexible you find the software to use, as well as the powerful reports contained within. We always listen to feedback off clients and look to progress any ideas that suit or we feel would enhance the use of the system. Pros: The system allows us to carry out all our business functions, without needing any others internally to tie into it. Very simple to use and training employees is a fairly quick process. Cons: The system can be too reliant on human input. Would like to see a few more automated features throughout. Overall: Allows us to provide our customers with smart reporting that competitors may not be able to produce. Always to good to hear feedback from one of our long standing customers. Its good to see that the new staff can be trained quickly, in house, which is what we always aim to be the case with any new feature. The automated features are on the horizon for you in the future and we will be in touch to discuss them with you. Pros: Its ease of use. very easy to use when you know how. I am looking forward to timesheets being easier when the engineers are taught to use it correctly. Cons: I think a few reports need to be changed and then it will work better for the company, I don't like that you cant have more than one screen open at a time i.e. doing a purchase order you can't then open the job page. Thank you for taking the time to review our software. We are happy that you have now found your feet with the software after some training. We are sure over the coming months you will see more & more benefit from the ideas you formed with our trainer. Pros: Its ability to manage assets and maintenance. The JobLogic mobile app is also very easy to use which in the past has been a problem for our engineers when using other systems. Cons: That assets are displayed in the parts page. Overall: We placed an order with JobLogic a few months back, the service from start to finish has been outstanding. In particular the trainer Paul Webb has gone in my opinion above and beyond to ensure that our system has been setup up with zero flaws. The support team have been available over the phone every time we have needed assistance and have remotely logged on our computers to assist when necessary. The actual software system is exactly what we need for our company as it is not just a simple job management tool but can also effectively manage quotes and maintenance of assets amongst other things. I highly recommend this professional company. Recommendations to other buyers: Take your time when completing the setup as our initial idea was to go live within two weeks of training and speak to the lovely support team throughout the process. Thanks you for such a positive review for our team here in Birmingham and for the software as a whole. Its good to know you found the team so helpful and that you have been well looked after by our training team. Keep in touch in the run up to going live and don't hesitate to contact us for any advice or help. Comments: We first started our journey to implement 'Joblogic' in 2011 and after initial discussions with 'JobLogic' on our needs, both for IT implementation and operational needs, the product, with the help of our own IT department, was set to work across our support business. It soon became apparent that unique features of our IT network meant 'JobLogic' had to provide non standard work rounds which were completed in a timely manner. Other unique business requirements were discussed with 'JobLogic' and once agreed, were quickly implemented with little issue. In the early days, reliance on telephone support was a weekly event, and solutions were provided straight away. On the occasions when a more complex solution was required this was generally resolved by the end of the same working day. Within a few months this reliance on support reduced to the occasional call. We now operate over 100 users across 7 offices, of which 30 users can operate consecutively. I would recommend 'JobLogic' as an off the shelf service management solution with a lot of built in features, although you may need to make slight changes in your operation to fit the product. Thanks for sharing your story of the last 3 years with JobLogic. We have enjoyed working with you on many projects/bespoke elements and look forward to a long lasting working relationship with you and all the team at Matrix. Comments: We have been using the software for around 18 months and have found it to be user friendly and simple for our on site engineers to work with, we have seen time savings in all departments that are using the software. The developers are pro active and always looking for ways to improve and integrate the system into businesses. The cost is not prohibitive and the back up from the support team is first class. It takes a little bit of time to learn to use the various modules and to implement them into existing systems, but this is the same for anything that a business brings into its process that is new. Joblogic are a forward thinking team who are not afraid to ask for suggestions on improving the all round package. Our clients speak highly of the weblogic customer portal and we look forward to strengthening our working relationship with the joblogic team for many years to come. Thank you very much for taking the time to review the JobLogic Software. We are pleased that you found it so user friendly and simple to use (especially with the engineers, who's time is precious on site & software needs to be quick and simple to use). We will continue to release new and innovative ideas for the office and mobile side of the software and look forward to hearing what you think of them. Pros: we can record jobs, dispatch jobs, keep track on progress, this then follows to easy invoicing with all data carried through. Pros: The new features are always updating. There are several different versions you can use (mobile/desk/etc.) which is great if you are on the go. Cons: The automation could be better. Other than that, really use to use. Thankyou for such a detailed review. We are glad that you have listed so many benefits to the system and take on board the comment about the diary. We are working hard on improving JobLogic everyday and will let you know about any changes made in the future, that may benefit Lightside in this area. We have passed on your comments about the personal approach & support team to the department manager. Thanks very much for your review. We are pleased to hear how highly you rate our trainers,support team & system. We look forward to an ever growing future with Barlows and helping you to the next level on your road map. Comments: The software stores and sorts a huge amount of data which is always on hand to be able to keep customers up to date with jobs as they are happening. 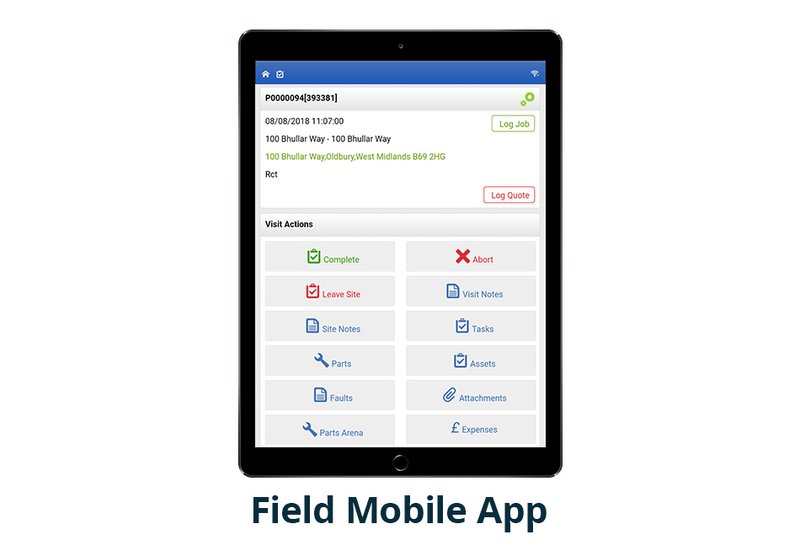 Mobile Logic will assist us with our drive to reduce waste with paperless worksheets as well as quick updates between engineers and the office. It is worth the time to set it up to get the most out of it. Thanks for the review of the software. At CPL you were always going to find it beneficial due to your way of thinking . "It is worth the time to set it up to get the most out of it." which is exactly why it is so powerful for you, so cost effective and time saving. We look forward to a long lasting relationship with all at CPL and going forward with new ideas in the future. Thanks for giving us your feedback, we will pass your comments onto our team here in Birmingham. We are looking forward to you going live and seeing the full benefits of the system. If you need anything feel free to contact us. Pros: I really like that you can program all your costs into job logic so that it calculates costs on jobs. Overall: Had a great day, great company, great trainers! :) Feel much more confident in using the system. Thanks for you great review. Glad to hear you had a great day at our training centre and we will pass the comments on to the training team. Please let us know if you need any advice or help in the build up to your go live day. Pros: The fact that there are new features added frequently without additional cost is great. Some companies charge you after the initial purchase for these add ons but there is no cost with Job Logic. Cons: At first the software went down on a few occasions but that seems to be an issue that has been taken care of. Comments: The system as a whole is excellent, it has all aspects we need. The only downside is the Buylogic. I would like to move away from Sage purchasing but the inability to amend a PO once you have emailed it over stops me doing this, there is no ability to free type as parts have to come from the library and this also poses a problem with us. The system overall though is great. Hi Elizabeth, thank very much for your positive review & comments. You can edit the PO's after emailing quite quickly. Please call one of our trainers who will happily take you through this remotely. Your point about the parts has been passed to development for their consideration. Comments: I would like to recommend Joblogic as an end to end computerised system for effectively managing all aspects of contracts. The system is flexible and easy to use whilst providing the structure for the ever important audit process. For planned or reactive maintenance it's real time reporting ability which can be accessed by clients really stands out from other similar products. 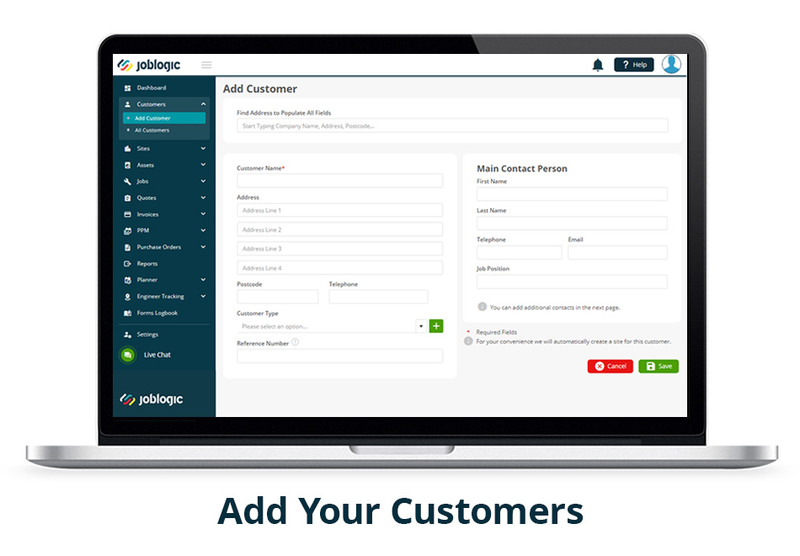 Joblogic go that extra step in after sales support even to the point where they talk to our clients directly to fully understand their requirements. Thanks for taking the time to write your review Rob. We appreciate your comments and will pass on the positive remarks to our support team. A clear and easy to use suite of software. Comments: As a small operation we only really use a small percentage of what this software suite is capable of. However, it is clear that Joblogic have a clear and indepth knowledge of the industries they target with this software. This results in a program that makes sense and as such is very easy to use with familiar processes and terminology. I would not hesitate in recommending this product. Thanks for the review Greg. We pride ourselves in making the system easy to use & user friendly and it's good to read when users point this out in reviews. Regardless of size and use, we are happy that you chose JobLogic and look forward to helping you grow. Comments: Joblogic is an all round good system. Once we got past the first few months we were able to adapt Joblogic to Fieldway's needs. Joblogic is efficient, easy to use and has really helped at Fieldway. The only real issue we have is a connection issue which is being dealt with. This causes problems when Joblogic goes down as we are now so reliant on it. Hi Lorren, Thank you for taking the time to review our software. We have made a lot of infrastructure changes over the last few months & believe we have resolved the connection issue you had. We are now confident you will get a seamless service and be happy with what we have done. Couldn't ask or expect more from Joblogic and it's staff. 1st Class service and product. 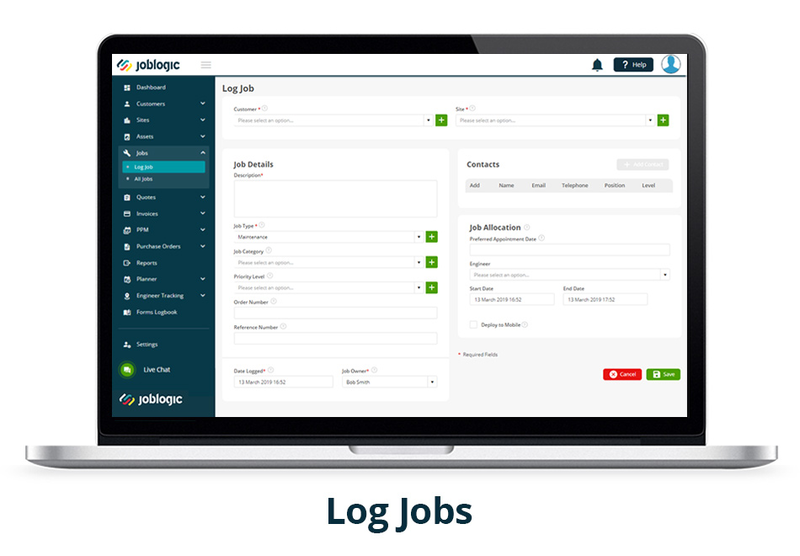 Comments: We have been using Joblogic for several years and in this time have realised how much we initially underestimated the capabilities, ease of use and overall long term company benefita. 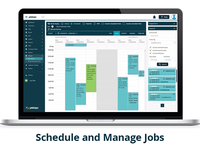 We have achieved noticeable cost savings, time savings, it is quick to understand for both office and field based staff and all at a very competetive price. Joblogic will always be and should be everyone elses first choice. It means a lot when customers take time out of their day to write on here. We appreciate the good comments in your review and forgive you for your bad choice in football teams. Job Logic its that simple! Comments: As the Managing Director of The AM Group it was very important to get the correct service management software first time, we looked at various products on the market, but the job logic system was by far the best available. We have now used the system for the best part of ten years, and would still say its the best, its very user friendly, cost effective and the back up team are second to none, Job Logic would be our number one choice every time! Thanks for taking the time to write such a great review Mike. We are happy you chose us all them years ago and look forward to another 10 + years working alongside you and all at AM Group. Comments: Just wanted to say a huge thank you for all your support recently for various things we've thrown at you. We're making several changes here and you've all been so helpful and accommodating. People are quick to complain so just wanted to take the time to actually thank you, it is very much appreciated. We are lucky at JobLogic in that our customers do seem to take the time to let us know when we are doing a good job. It was a pleasure helping you achieve your changes and help you push forward with your ideas. Anything else we can help with, just let us know. Good to hear you are going live with the mobile software and we are sure you will see the benefit over the coming weeks. We look forward to working with you on the mobile forms & getting you up and running with them. Brilliant Software at a competitive price. Comments: Joblogic has been brilliant for us as a business. We started initially using the back office system and, due to the success of that, we implemented the engineers mobile software, which has also worked as we intended. 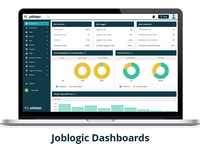 The team at Joblogic are always willing to help where required and I would strongly recommend this service software to any company. Thank you for your great review Karl. It's good to watch companies like yourselves start off with the basic modules of the system then grow into other beneficial areas. We will pass on your comments to the rest of the team. Comments: Training for this product could not have gone better, Our trainer was extremely helpful, friendly and explained everything in a very "non-technical" way, so that everyone, irrespective of their previous level of understanding, took all on board, leaving us with the impression that we would be fully supported in the future. We will pass on your comments to Paul and look forward to helping you move smoothly to the new system. We are always here to help if you need any advice. This software makes it easy to accept and to reject applicants, with the click of a button. Pros: The ability to dial the contact number of the applicant is great! You can click the number and it will call the number on the screen. I also like the idea that the applicant can see the notes that you can put in as well. Cons: The only thing that I can see that may need some improvement would be the simplification of things on the screen. It is for those who have the ability o navigate and understand it a lot, but can also become overwhelming with too much on the screen. Hi Coletta, thank you for taking the time to review our software. We love hearing feedback from our customers, as we take every one of them on board and learn from them. Thank you for the comments on the simplification of the main screen, which is in fact what we have been working on lately. You will soon see a release with more simplified menus to go with the already easy flow of the system. Thanks again and please don't hesitate to get in touch should you have any suggestions for us. Comments: As a manufacturing company we were surprised at how adaptable this software really is. You may have to think about how you do things but the software is adaptable to how you work. It makes life really easy once you get into it and keeps a track of all new instrument sales and service on instruments later on. I would recommend this software to anyone. Thanks Dave! Your review & recommendation is very good to read. The software is adaptable and we are glad you have found it such a benefit to your company. Having used JobLogic I found the system met the requirements we needed. Comments: The back up service from JobLogic was great, whenever a problem or situation arose it was dealt with quickly & efficiently. I was always confident that issues would be addressed & I would be kept up to date at all times. The training provided was informative, productive & most importantly delivered in a great way! Thank you for taking the time to review our software Lorraine. We appreciate your kind words and have passed them on to the Training Team & Support Department Managers. Comments: overall we are more then happy with the system, the continual development of Job Logic as really improved how our business operates. If we require any changes or highlight a new procedure we have to adhere for one of our clients, Job Logic work in partnership with us to provide a solution. We have recently started using web logic and we have all been really impressed with this. Thank you for your review Nick. It's great to work with Airco. Hi Aaron, thanks for taking the time to review the software. There are indeed more and more features in the pipeline and we will let you know about them in our release email which goes out first to all customers. Looks great. Especially like the MobileLogic. Would be good if it was connected live to Stoklogic. Hi James, Thanks for reviewing JobLogic. As discussed we are developing the link to the stock system and we will let you know as soon as it's ready. Thanks for your review on how easy the software is to use. Stay in touch through your initial learning curve and you know where we are if you need anything else. Hi Craig, Thank you for taking the time to review JobLogic. We look forward to a great working relationship with AMG Southern (Dyno Plumbing).